For my father and brother, I wanted to give a Christmas gift that was homemade, but still functional and relative to their interests. 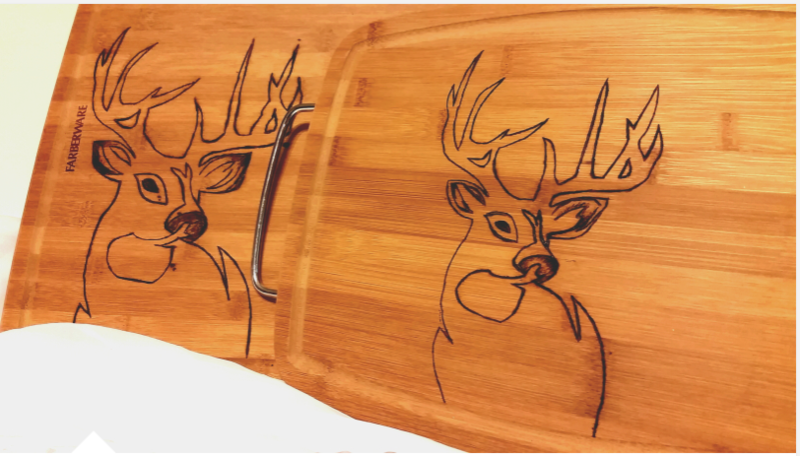 Since they both love to hunt I loved the idea of carving a picture of a deer into a wood cutting board. 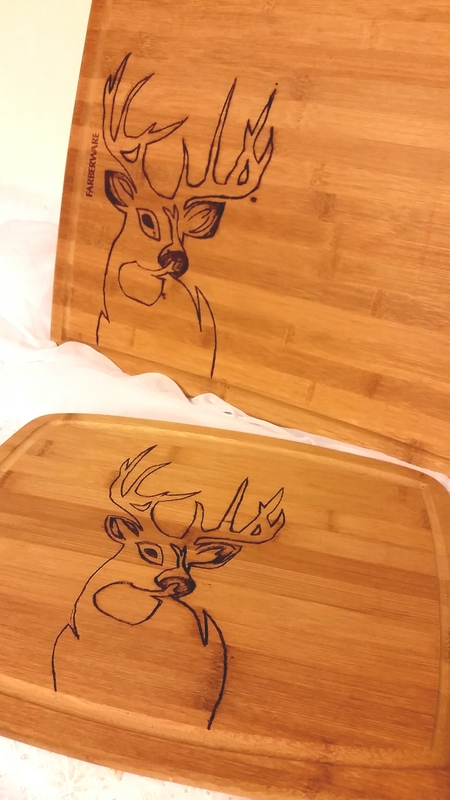 Here’s how I made this DIY Wood Burned Cutting Board. First I found a picture of a buck that I thought would work. I simply google searched “deer silhouette”. This could really be accomplished with any image you may want (i.e. monogram, fish, last name, random pattern) the sky’s the limit. Once I found my image, I then printed it out on plain copy paper. I used a razor knife to cute around the image and slightly into the wood. Once the image was lightly cut into the wood, I heated up my wood burning tool. I used the finest tip, though it comes with additional options if you want a thicker line. It took about an hour to burn the full image into the wood. There are some minor imperfections, but like anything homemade, that’s what gives it character. They were a huge hit at Christmas, I hope they get use out of them for years to come.